Tuned for peak performance. In addition to completing basic maintenance tasks on your boiler, the technician will also diagnose problems and explain which repairs are required to ensure long life and efficient operation. No matter what type or brand of boiler you have, it requires periodic maintenance to function properly. Even if your boiler appears to be working properly, it's smart to schedule a boiler service appointment at least once a year and whenever you suspect a boiler problem. During each maintenance visit, we'll clear up any emerging issues before they can become big problems and make small calibration adjustments to maximize heating efficiency. Our technicians can repair all makes and models of gas and oil boilers. Although your heater may still be working, lack of maintenance will shorten the lifespan of your unit. A furnace or heat pump that's inspected and tuned up every year will perform better, deliver optimal indoor comfort and help to keep utility bills low. 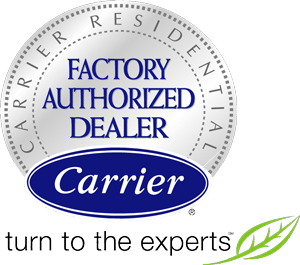 If you are considering replacing your old boiler, learn more about our furnace installation solutions and things to consider when choosing a furnace. We start every boiler installation project with a full heat loss calculation to determine just how much heating power you require, and we'll choose a perfectly sized boiler to meet those needs with no wasted heat. If you live in Clemmons, Kernersville, Pfafftown, Lewisville, Walkertown, Colfax, Oak Ridge, or the surrounding North Carolina area, contact us today to schedule a maintenance appointment!